In anticipation of Outernational Days 2 (July 7-9), The Attic and Kran invite you to a very special Outernational Night on May 20 at club Kran. Stars of the night are Hailu Mergia (trio with Alemseged Kebede & Kenneth "Ken" Joseph), Adrian Minune (live with band), PARADAIZ SNDSTSM and The Attic Soundsystem. It is easy to understand the return of Hailu Mergia to the world of music as one of the most unlikely comebacks of the last few years. The keyboardist was a major star in 1970es Ethiopia, presiding over the country's leading instrumental ensemble Walias Band, which worked restlessly on the Addis Ababa hotel circuit and jamming with luminaries like Duke Ellington and Manu Dibango. In 1981 a good part of Walias including Hailu used the first ever US tour of an Ethiopian music group to escape the dictatorial Mengistu regime. Since then Hailu has been a resident of the Washington DC area, spending most of his recent years as a cab driver at the capital's Dulles Airport and playing only privately. Enter Brian Shimkovitz, operator of the acclaimed blog-turned-record label Awesome Tapes From Africa, who came across "Hailu Mergia & His Classical Instrument", a somehow obscure 1985 cassette, in a music store in Ethiopia, tracked down the old maestro and reissued it: This charming tape has both a nostalgic feel (in its attempt to revive the accordion, once East Africa's leading instrument before electrified "western" rock style instrumentation took over) as well as a futuristic dimension (recorded by the exiled Hailu all by himself in multi-track it features a host of synthesizers and drum machines). On the back of Shimkovitz' reissue, Hailu started to play live again in 2013, exploring the deep, liquid and hypnotic qualities of his music, while not forgetting to throw in some hefty bits of funk now and then. Hailu Mergia's recent concert history includes festival appearances at Field Day in London, Villette Sonique in Paris, Austria's sympathetic Konfrontationen and Hamburg's Überjazz, as well as club shows pretty much all over Europe from Lisboa to Helsinki. 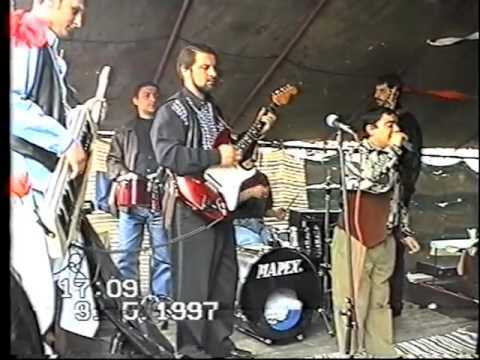 Adrian Minune, born Adrian Simionescu, is a major figure in the Romani and manele music scene. He is also one of the main protagonists of the transitional period between ’90s proto-manele and the pop–manele made in the present day.